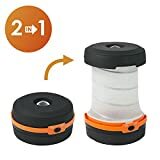 Usually powered these days by LEDs, these lanterns provide a great semi-permanent light source for inside and out, whether you’re off on a weekend jaunt, at a festival, or setting up basecamp on a more extreme adventure. We’ve picked a few of our favourites, and as always, tried to find a balance between great quality, and great value. 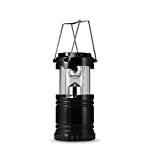 The TaoTronics Collapsible LED Lantern doesn’t have the same quality feel as some of the other higher-end lanterns on our list, but for the price, it’s decent enough, and it’s good to have one stashed away in your kit for emergencies. Keeping costs low, the TaoTronics is made from reasonable-quality plastic. It’s not incredible, but it does the job. Folds down into itself, to around the size of a beer can. 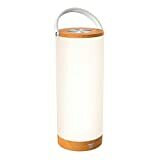 The TaoTronics is a Collapsible LED Lantern, so it shines brightly without any noticeable dip in brightness until the batteries are near empty. 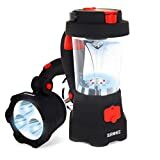 LEDs tend to perform well in extreme conditions, too, so this a good one to have as a lightweight backup on your travels. Great size – Folds down into itself, to around the size of a beer can.